There's nothing wrong with enjoying both art and commerce. And where better to do this than at museum gift shops? The Museum of Contemporary Art stocks probably the most outre collection of jewelry and accessories you're likely to find downtown. Especially necklaces, for some reason. 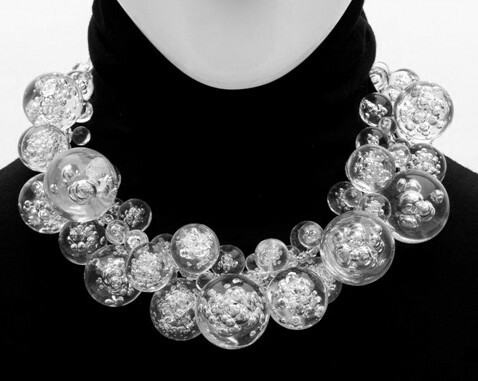 The Lucite bubble necklace, by Swiss designer Bettina Stark, is elegant and a little goofy at the same time. 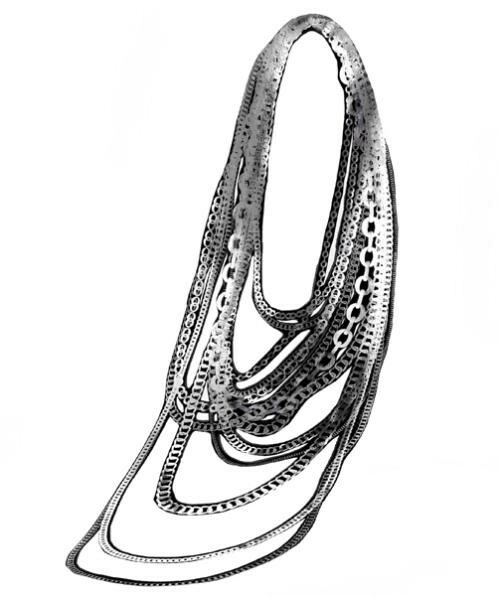 Dutch jewelry designer Uli Rapp deconstructs the chain necklace by making one out of silkscreened images. Check out her Web site for more cool trompe l'oeil pieces. 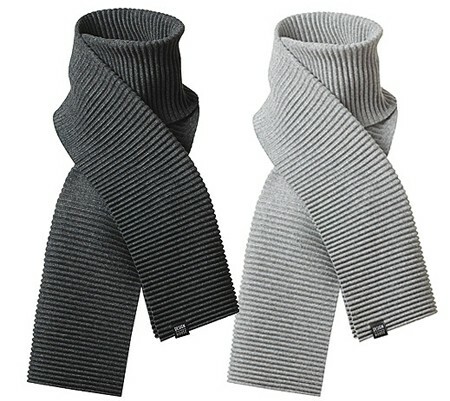 Avant-garde jewelry tends to be a little pricey, but a "pleece" scarf by Design House Stockholm is practical, unusual, attractive, and affordable. It was $59 at the MCA shop (not available online). but only $45 online at Unica Home. (Hmmm.) A smaller size is available at Unica Home for $45.